"Playground Picnic" is a wonderful block done in alternating prints and backgrounds to give it wonderful movement and fantastic secondary designs. 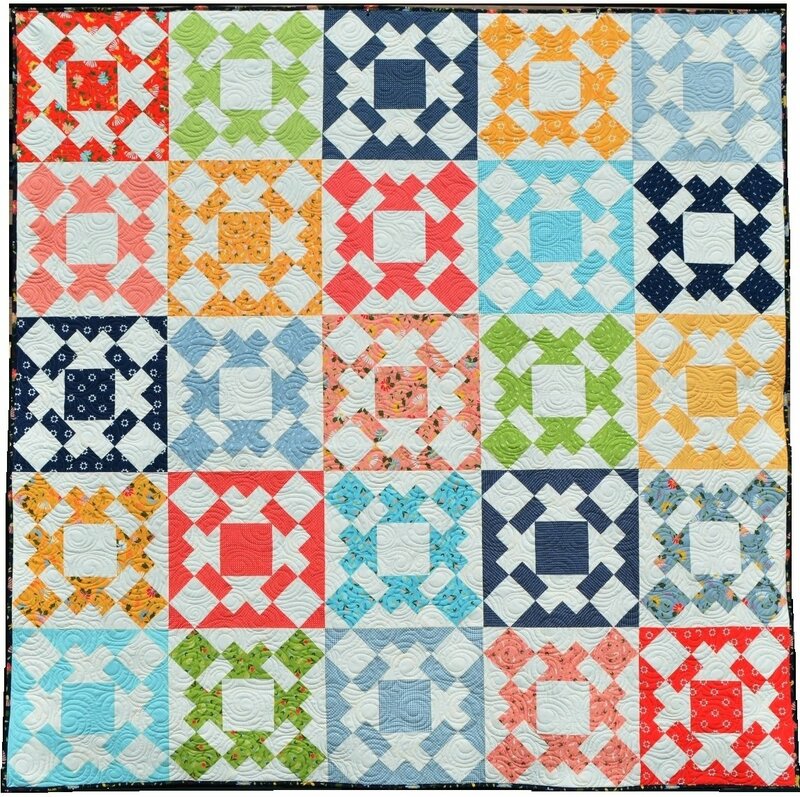 Come learn to create this block that is pieced on point, but don't worry, we will be trimming our blocks so you are sure to get those perfect points every time!!! And with five size options of Baby, Lap, Picnic, Twin, and Queen, you are sure to find the quilt that fits just right. So come sign up, we are going to have a great time!! !